Easily satisfy Pennsylvania’s industry-specific posting requirement with this poster. 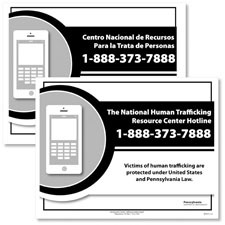 Bars, hotels and other establishments must display this mandatory poster regarding Pennsylvania human trafficking protections. 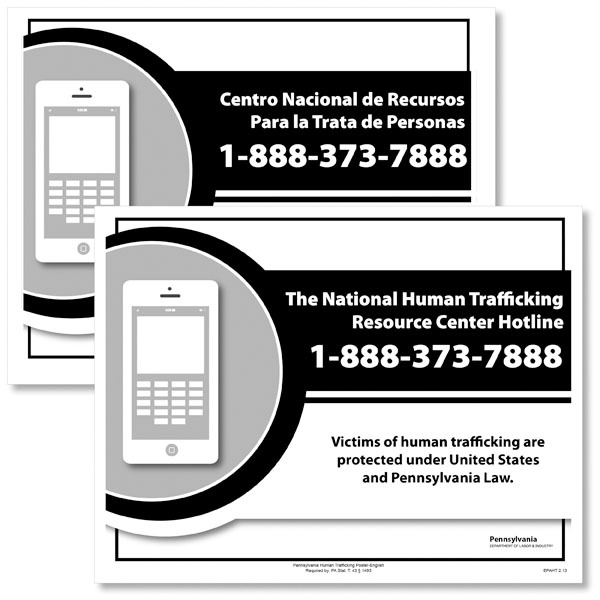 In Pennsylvania, certain employers are required to display the Human Trafficking in Pennsylvania Poster in both English and Spanish, in addition to mandatory federal and state posters, to avoid potential fines.